With increasing life expectancy and improvements in medical technology we can all expect to have longer and more productive retirements. But there is still a high chance of needing help with daily living activities and medical care, especially at older ages. For some people, a move into residential aged care may be an only option to assist with this need. Careful planning ahead of time can make all the difference and remove a lot of the stress at the time when a decision needs to be made. So, what does care cost? What are the rules for fees? The range of fees and calculation methods may appear complex but fees can be divided into four categories. There is no distinction between low care and high care so the accommodation payment rules apply to all subsidised residential care places. The accommodation payment is quoted as a lump sum (called a refundable accommodation deposit – RAD) and an equivalent daily fee (called the daily accommodation payment – DAP). Once you have accepted a place and signed the Resident Agreement you will have 28 days to decide which fee option to pay. If you pay the lump sum RAD it is fully refundable when you leave care and repayment is guaranteed by the Federal Government provided you have paid the RAD to an approved service provider. Depending on your income and assets you may be asked to pay a means-tested daily care fee. This increases how much you pay and reduces how much the government pays for your care. This fee is capped over a year and over your lifetime (both indexed). Advice can help you see the bigger picture and take into consideration your family needs and estate planning considerations as well as strategies to generate sufficient cashflow, including access to government benefits and concessions. We will meet with you at your home, hospital or aged care residence at no additional cost. This is our unique service and demonstrates our dedication to helping you feel comfortable in making the most suitable decision for you and your family. During the meeting we will understand your situation by capturing relevant income and expense, assets and liabilities data. 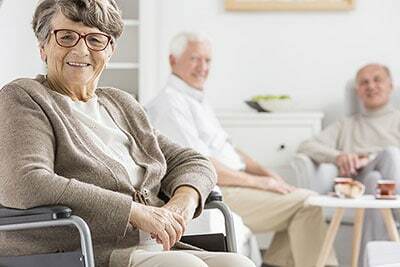 We will guide you through the financial aspects of aged care and provide during the meeting information specific to your situation on the costs of residential aged care. The cost to provide this advice is $880 inc gst for a single person going into care and $1,210 inc gst for a couple going into care.